We're getting the year off to a great start with lots of new faces and bands taking our stage for the first time and we're hoping to find a new favorite this first week of the new year. Maybe that new favorite will be you … we're taking karaoke from the Bourbon Bar to the big stage this Wednesday and it's your chance to perform under the bright lights. 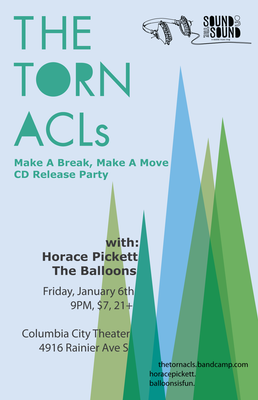 On Thursday we've got a night of gorgeous Americana and folk tunes. 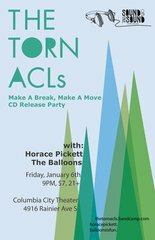 Friday night its an indie-pop party with Torn ACLs. While Saturday Ka'Dunk will be bringing the funk and Sunday it's all catchy cleverness from brand new band, Brite Lines. Here are all the details you need.